My little sister is pregnant with a baby girl! Well, not my real little sister because I’m really an only child. I’m talking about my sorority little sister. Yes, I’m one of THOSE girls. But I totally wasn’t a stereotypical sorority girl and my sorority wasn’t a stereotypical sorority, whatever that means. Anyway, I get to finally get my girly fix in. 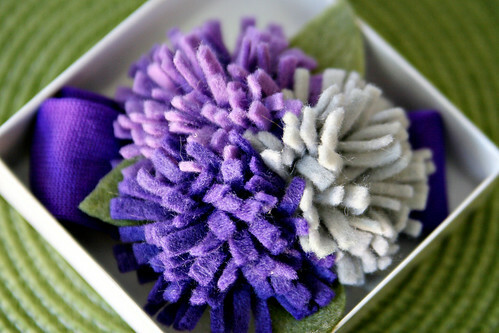 I’ve been digging felted flowers lately and thought I would craft up something pretty for her little one. 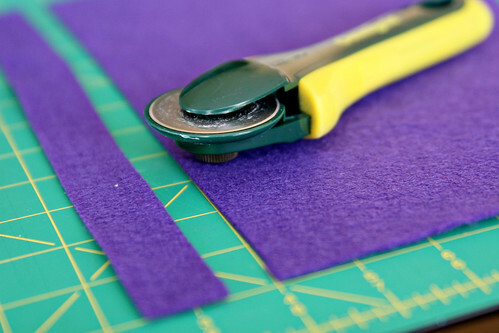 Step 1: Cut felt into a 1.5 x 11 inch strip. The longer your strip, the bigger your flower will be. 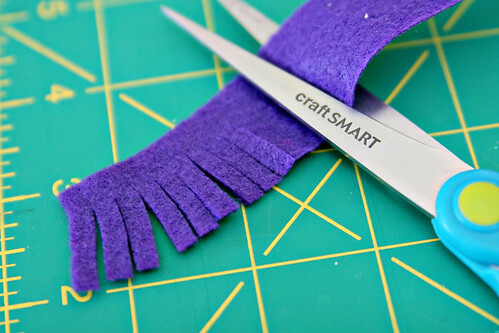 I broke out my rotary cutter but scissors will work just fine. 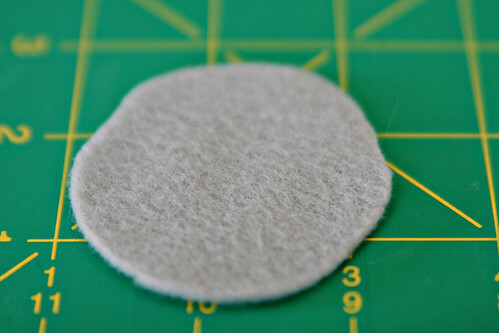 Step 2: Cut slits into the felt strip. 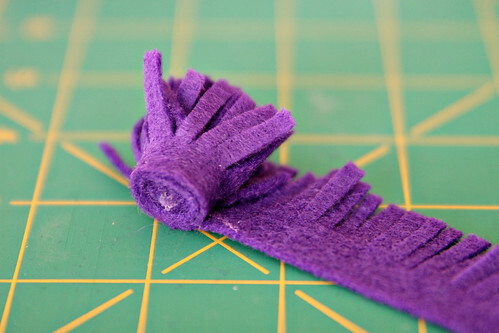 Step 3: Tightly roll up the felt strip, hot gluing along the bottom. 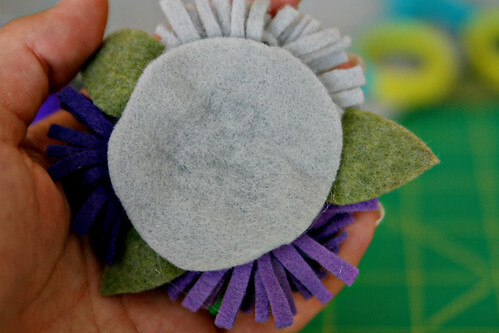 Step 4: Fan out your “petals” and you have a flower. 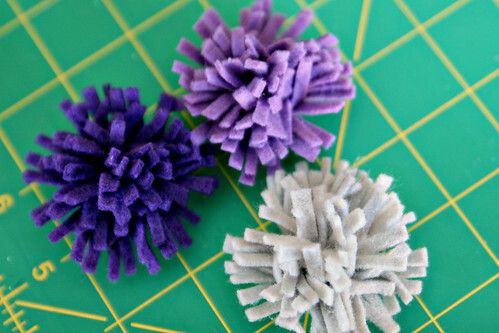 Repeat steps 1-3 to make 2 additional flowers. 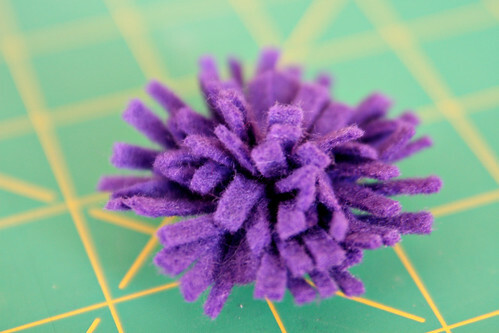 Step 5: Cut a circle out of felt, about the same size as the 3 flowers bunched up together. 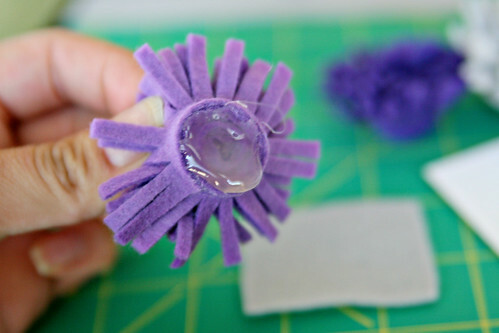 Add a big dab of glue to the bottom of the flowers and stick them to the circle. Step 6: Cut out 3 leaves. 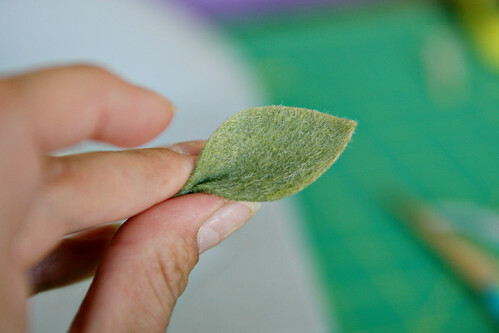 Add a tiny dab of hot glue to the bottom of the leaf and pinch. 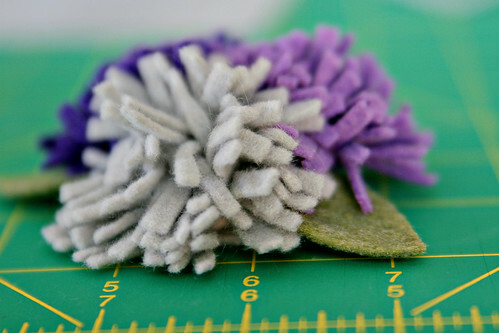 Step 7: Hot glue the leaves to the 3 flowers. 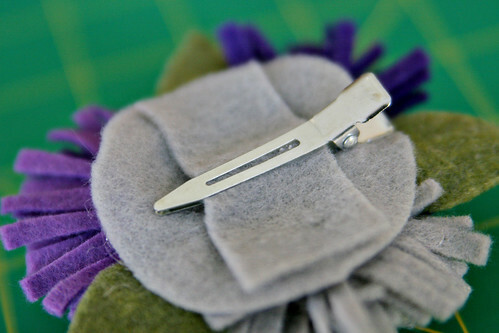 Step 8: Hot glue one side of the alligator clip to the circle base. 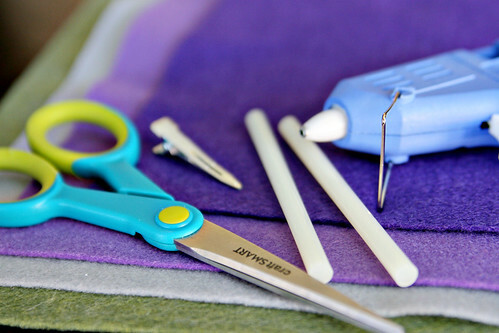 Cut a strip of felt, the length of the circle base, and hot glue it in between the alligator clamps to secure the clip to the base. 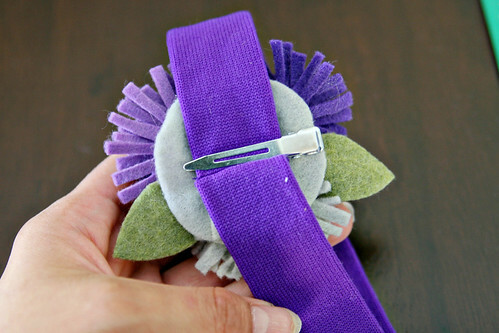 Step 9: Attach the clip of flowers to a soft headband (or a jacket, purse, hat, etc.). 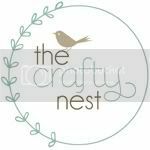 Make your own baby headbands using the tutorial from Craftiness is not Optional. 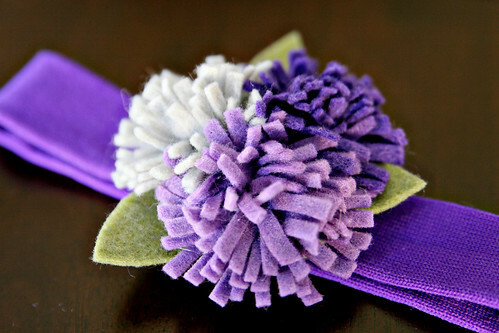 Step 10: Now you have a pretty little headband to slip on your little one or to give as a gift.